How are the teams doing as week two of the NWSL preseason comes to a close? The National Women's Soccer League preseason is in full swing. International players, including those who play for the United States, joined their club teams on Tuesday, and the schedule of preseason matches against collegiate and professional teams are starting to fill up. 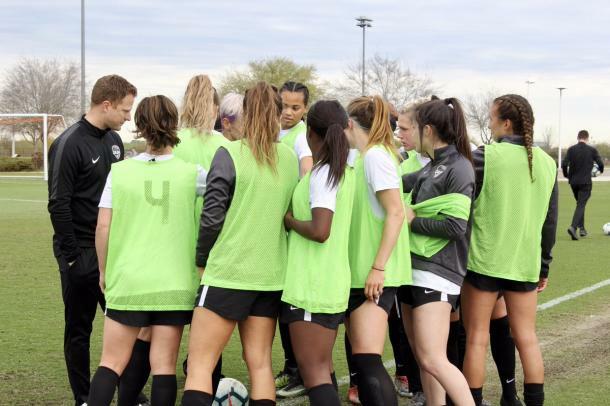 Here is a brief overview of how the NWSL teams are faring as they close down the second week of training camp. The Chicago Red Stars have had a quiet preseason. They signed Tierna Davidson after drafting her with the first-overall pick in the 2019 NWSL College Draft and held a closed scrimmage against University of Missouri on March 9th. The result of that match is unknown. The Red Stars have a history of closed preseason matches, but normally a few nuggets slip out...not this year. The Houston Dash have been busy this offseason. They hired a new head coach after Vera Pauw didn't work out, and they've already completed two preseason matches. They beat Houston Baptist University 6-0 on March 7th and then beat University of Texas 1-0 on March 9th. The Dash also signed Canadian Sophie Schmidt to flesh out their roster ahead of the 2019 season. The Dash are looking to make the playoffs for the first time in team history in 2019. The North Carolina Courage had a bit of a setback in their first preseason match. They led Clemson 1-0 after the first half, but they gave up a late equalizer and finished in a 1-1 draw against the collegiate team. North Carolina was missing nine players due to international duty for that match, but they have three games upcoming. On March 19th they face off against UNC, on the 20th they play Wake Forest, and then on March 23rd they play against the Orlando Pride. The Orlando Pride have been silent thus far this preseason. They have a match against the NC Courage on Saturday, but otherwise there is no news from the team. New head coach Marc Skinner has kept the team mostly the same after a disappointing 2018 season. Portland Thorns FC has had a quiet training camp so far. They signed a few new players and have practiced with a 13-year-old, but otherwise nothing of note. They will host the Thorns invitational later this month. Reign FC won their first preseason match on Saturday against UCLA. Both Reign goals were engineered by newly-acquired forward Darian Jenkins. The first goal of the match came when a cross by Jenkins ricocheted off of a Bruin defender for an own goal, and the second was scored by Jenkins off a cross from Jasmyn Spencer. Reign FC will be in action again on Sunday when they face off against the USWNT U-23 team at the Thorns invitational. Sky Blue FC earned a 6-0 victory in their first preseason match against St. Johns University on Saturday. USWNT midfielder Carli Lloyd and rookie Paige Monaghan each scored twice in the win. SBFC is hoping for a better season in 2019 after breaking the record for least points and fewest wins in a season in 2018. They will be back in action on March 23rd when they take on West Virginia. 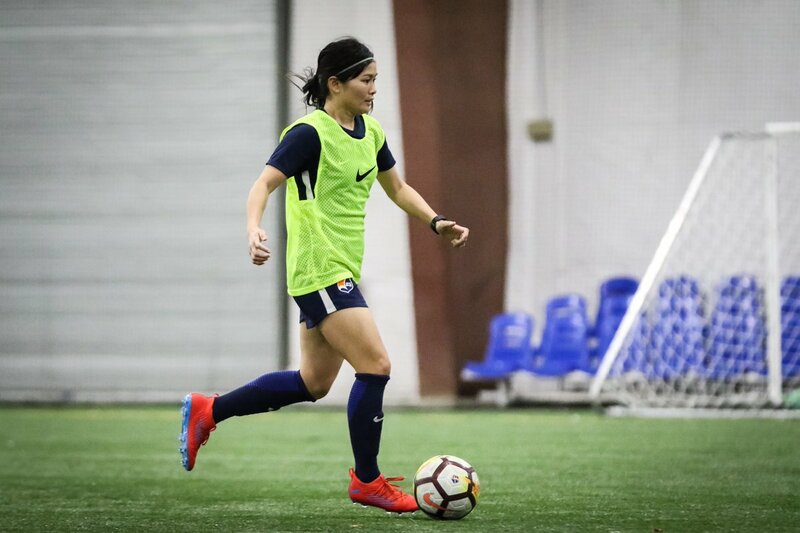 Utah Royals FC has had a quiet preseason so far. They have not announced any new signings and their first game is not until later this week. On Wednesday, March 20th, the Royals will face off against Long Beach University and then on Saturday they will play USC. URFC is hoping to make the playoffs in their second NWSL season, but it will be an uphill battle with many players expected to miss large chucks of the 2019 season due to the 2019 Women's World Cup in France this summer. The Washington Spirit cruised to a 5-0 win over James Madison University on Saturday night. Forward Ashley Hatch scored twice in the win and rookie midfielder Jordan DiBiasi impressed in a playmaking role. The Spirit will play again on Saturday when they host French Division 1 club Girondins De Bordeaux. New head coach Richie Burke is hoping to build the team after a disastrous 2018 campaign where they scored just 12 goals in 24 games.